You are here: Home / Blog / Why We Do What We Do? No matter who you are or what you have accomplished, false and limited mental programming has held you back from achieving your true potential. If you find yourself acting in contradiction with your own values, causing pain to yourself or others, if you say to yourself: “I know that what I do is wrong… but I still do it… Why? 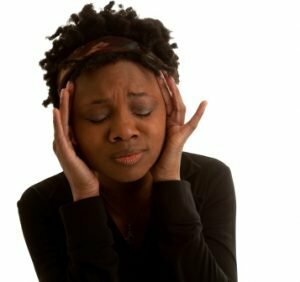 Why do I repeatedly suffer instead of joyfully going through life?” then you are not alone… and you are asking the wrong question. We are creatures of habit. Conditioned from your early childhood to react to outside circumstances in particular ways, emotionally and mentally, your actions are much more mechanical that you realize. Intelligence and values have a much lesser influence than you think and often do not have the final word in the matter. This explains why so many highly intelligent women act like “out of control teenagers” when it comes to body image and health habits. Have a Vision. Most people, when asked what they want, come up with a list of things that they do NOT want. While knowing what you would like to avoid is important, you need to also have a clear vision of what you DO want to achieve. The more specific your vision, the better! Have a Powerful WHY. What is the reason you would like to achieve your vision? Think in terms of benefits, not features. For example, a feature may be: being slim; the benefit is: having less fat and more lean, toned muscle will make me healthier; I will have more energy, I will feel confident, dressed or naked; I will feel great about myself and that will help me to be more successful in other areas of my life! If your WHY is powerful and convincing (for you), it is more likely that you will achieve your vision. Strategy. Strategy is a direct application of the new, healthy habits. While developing personal power is accomplished through focused meditation and following the life path that is right for you, strategy is Mindfulness. 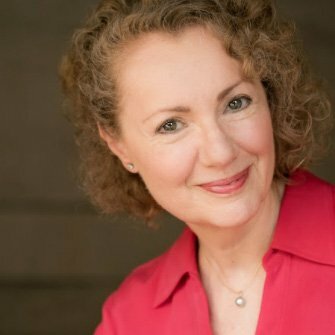 The methods include visualization techniques, affirmations, being present in the moment, being in touch with the core of your being and acting from your truth as opposed to acting from old habits. Acting in such a deliberate manner instills new habits that are inline with your purpose, your goals and the more authentic YOU. Commitment, Determination and Resilience. These three qualities make a difference between success and failure. When you have a clear vision, personal power and strategy, your unbending commitment, determination and resilience will carry you through to success. Your mantra should be: I never give up! I resolve to succeed! Support. It is extremely challenging to achieve big successes on your own. As you probably know, in sports and business, behind every great success is a great coach. To overcome lifelong habits, it is crucial to have support! In addition to weekly coaching sessions with me, Women’s Perfect Body Program will form a number of mastermind support groups. Not only will you receive the immediate support for yourself, supporting other women will infuse you with more enthusiasm. The combined power of the team will create momentum far greater than an individual can generate on their own! Beautiful Confident You Affirmations is a mental blueprint for your success that conditions your conscious and subconscious mind for health, vitality and success. 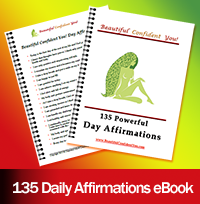 Get your eBook: 135 Empowering Affirmations for Women now for only $9.95 and start your transformation TODAY! Creating and sustaining your perfect body is an inside job. You know you have it within you. You know that you are capable of doing what it takes! 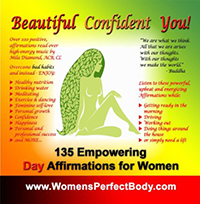 Order an audio CD: 135 Empowering Affirmations for Women read by Mila Diamond over energizing music by visiting Amazon. Enjoy while getting ready in the morning, driving or working out. It will inspire and energize you! Order TODAY! Copyright 2010-2018 Diamond Mind Coaching, LLC. All rights reserved. Mila Diamond is an author, speaker and international success mentor. She believes that an outstanding life begins with optimal health and the correct mindset. Mila helps women to step into their feminine power, create success, feel refreshed and unstoppable! Mila's coaching connects the physical with a positive mental perspective and spiritual, soulful journey. With her articles on this site, Mila looks to inspire, empower and unite women from all over the world - sister to sister, heart to heart. The title of your post is something I ask myself all the time! Until reading your post I didn’t have a clue to the answer. I signed up for your email and commit to making big changes with my body and life. I am ready for great success! Thanks! If I could only overcome my late night snacking, well that would be a great start anyways. Thanks for the six step plan. Marcia – good luck with this! You CAN do it. I would also suggest a trick: commit to not snack late at night for just three days… then, another three… then for a week, then a month. By having a limit on your commitment will help you to get the ball rolling in the right direction. You are creating a new, healthy habit of feeling great going to bed feeing light. Focus on that good, light feeling as you are falling asleep. You will sleep better and your dreams will be better too. Usually the urge for snacking at night represents that you don’t have enough nutrients in your diet during the day. Take a closer look at what you are eating. I feel like I have found something special here. It makes me so happy to see people encouraging each-other! Coming here is an easy commitment, with a lot of benefit. I can feel change awakening deep down. I am still pretty intimidated about owning my female Identity. I convinced myself that being womanly was stupid and weak, and refused myself any expression of “moon sign” qualities. I wanted to become completely neuter in all my expressions. This is backwards. I cannot learn how to excel if I hide those tools I would need to do it, afraid someone might not see the truth of my spirit over my undeniably female body. I love my temple! It is more than a body! Still, I have some bad habits I can change. I bite my nails, for instance. All the way down to the quick. I scratch at my face and become frustrated over my complexion. I sit smoking cigarettes and listening to NPR, knowing I have to get up and do something, but for some reason just finding it easier to hide behind hollow rituals and nervous tics. I have never felt better than when something I say or do positively effects someone, especially women who have resigned themselves to defeat. Nobody deserves that, no matter how old young or physically beautiful. How is it that I can be so in-between? Sometimes I feel amazing, and other times I feel like I have nothing for you all, nothing worthwhile in myself for giving. I refuse to accept this feeling until it has changed. I feel uplifted and encouraged, and ready to branch out. I’m doing it!!! Thanks for your comment. I hope that you are continuing to working on creating your new healthy habits! All the best! This is my first time i visit here. I found so many interesting stuff in your blog. keep up the good work. Thanks for give me information on this topic. Great post.